Do you like Mission Impossible? You know that movie with Tom Cruise where he always does these crazy stunts? 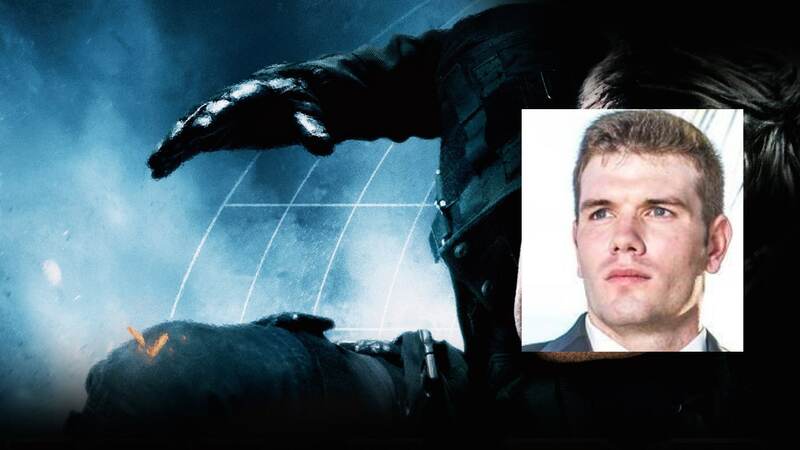 The premise of the franchise usually revolves around Cruise and his gang of agents embarking on a mission that most would deem impossible to complete. Now, since it’s a movie and it’s not real his team always seems to complete the mission in some incredible fashion. What does any of this have to do with getting your ex girlfriend back? 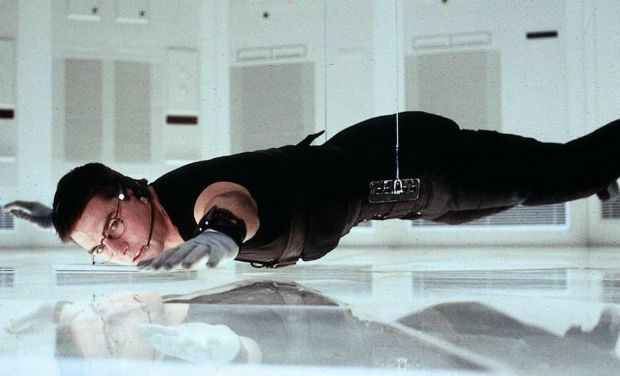 Well, sometimes trying to get an ex girlfriend back is like being sent on one of those crazy mission impossible missions where you think that there is absolutely no way to succeed. 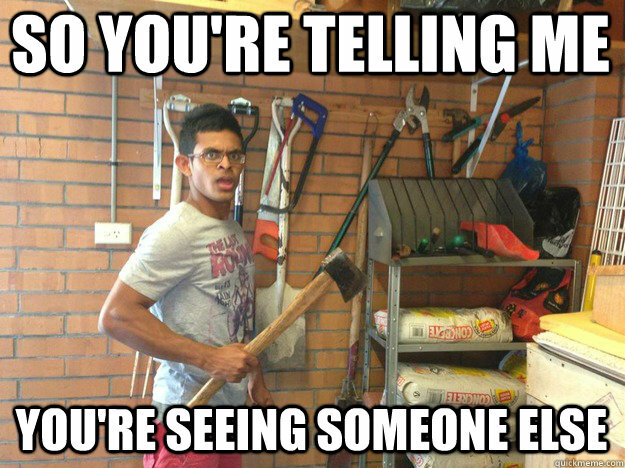 Well, usually it’s a situation where you think your chances of getting your ex girlfriend back are slim to none. But what about the strategy to get an ex girlfriend back in an impossible situation? Is there some sort of universally recognized one that works for all the impossible situations? That’s kind of the tough part about impossible situations. What may work to get one man out of an impossible situation won’t work for another. Thus, a new strategy needs to be crafted to fit into each specific situation and that’s what this page is all about. This page is going to be divided into two parts. In other words, I am going to be telling you what I think the most impossible situations to get your ex girlfriend back are and then immediately after I tell you I am going to give you a tailored game plan for each one. I suppose before I move on I should tell you all the toughest situations. It just means you are going to have to be smart about how you approach things. You probably don’t want me rambling on anymore so I am just going to cut right to the chase. I can’t tell you how many men who have come to my site and visited this page and even after all my great advice still fell flat on their faces after cheating on their ex girlfriends. Cheating is a tricky subject because it is without a doubt THE worst thing that you can do to someone in a relationship and in my opinion it all revolves around desire. Could She Have Been Drawn Into a Rebound Romance? For example, I am willing to bet that if you cheated on your ex girlfriend it wasn’t because you were just horny. We live in an age where we are taught to pursue our desires. But the psychology of why a man cheats has nothing to do with what makes this situation impossible to succeed in. Care to take a guess at what does? It’s the stigma that surrounds women who stay with their cheating boyfriends or husbands. I am going to ask you a simple question. When someone cheats on you what are you supposed to do? If I was ever cheated on I am pretty sure I would leave. And therein lies the stigma I am about to talk about. Back in the old days men or women who stayed in a relationship after their spouse or significant other cheated were celebrated. Wow, what a great person he/she is to stay with them like that. They are a better person than me. But now the great shame is if you stay. Oh, and that’s not even the worst part. What if you cheated on your ex girlfriend and your ex girlfriend did want to stay but she was scared to because of the stigma that she knew she would face for staying? How are you supposed to win back her heart if she is worried about all of this backlash? Well, in my mind it all revolves around becoming such a powerful force in her life that she has no choice but to stay. Women tend to be a bit more emotional than men. Now, a woman may read what I just said and take offense. But here is what I have found to be true in my life. In general, women base more of their relationship decisions based on the emotions they feel. That’s not to say that men don’t do that as well BUT I think women do it a tad more frequently than men. 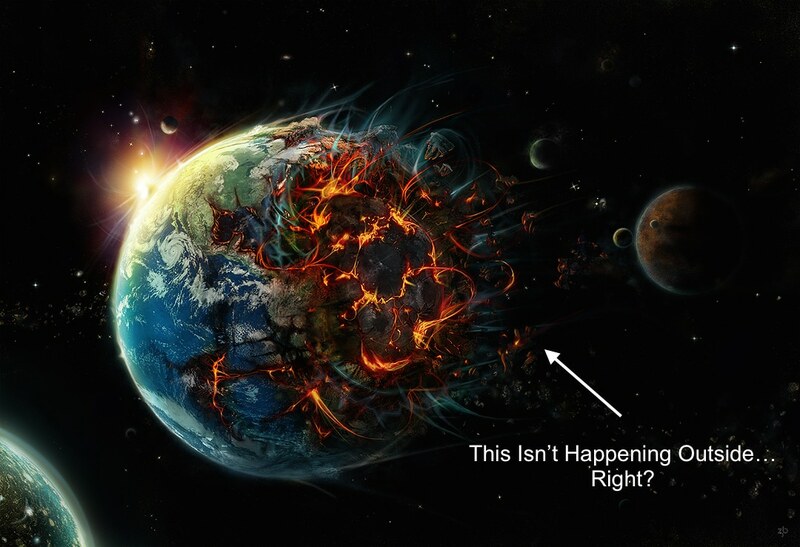 This is going to be the assumption that we are going to grab onto when trying to combat impossible situation one. Now, before I really dive into this particular game plan I do want to say that I work really hard for you guys. I did a lot of research just for this particular game plan and even if it does seem simple this is honestly the best way I have found to overcome this impossible situation. 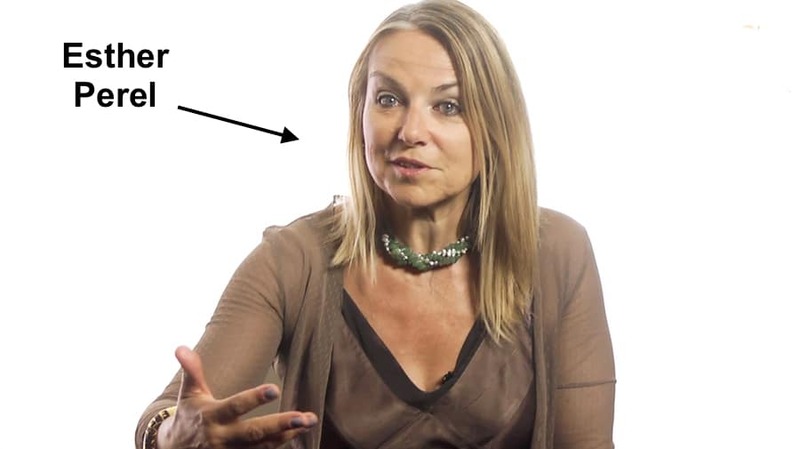 Have you ever heard of Esther Perel? She is a Belgian psychotherapist who has dedicated her life to studying the tension between the need for security in relationships and the need for freedom. In other words, her findings on infidelity are like the holy grail for someone like me. Anyways, I started reading her findings on this topic and listened to her message and I picked up some really incredible insights that I added on to my own findings about infidelity. 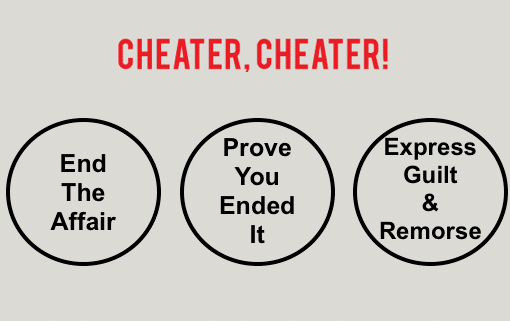 By combining her insights and adding them to mine I was able to come up with arguably the best game plan on the net for winning an ex girlfriend back if you cheated on her and there are really three parts to it. This one is quite simple really. If you cheated on your ex girlfriend then you had best end the cheating with the girl that you cheated with. This is the story of Bob. So Bob comes to my website, buys Ex Girlfriend Recovery PRO and decides that he wants to get his ex girlfriend back. 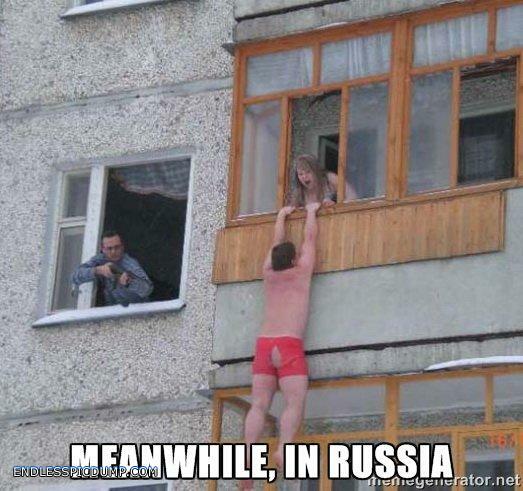 What’s the situation he is in? He cheated on his ex girlfriend. Anyways, Bob gets in touch with me and wants my help to get his girlfriend back. So I give it to him. I give him a variation of the three step game plan I just gave you. And just like the game plan I gave you the VERY FIRST THING I told him to do was to end the affair. He still talked to her. In fact, he talked to the girl he cheated with every single day. So, when Bob eventually did get his girlfriend back things were great until she learned that he was still in contact with this girl. That’s when all the insecurity came out. And guess what came after the insecurity? It’s not enough just to end the affair anymore. In order to really have a good shot at winning your girlfriend back permanently you have to end the affair and all contact with the person you cheated with FOREVER. It seems so simple and yet I never hear anyone ever recommending to do this. In Part One I told you to end the affair and all contact with the person you cheated with. Well, part two is all about combating your ex girlfriend’s insecurity by proving to her that you ended the affair. I want to show you a text message. 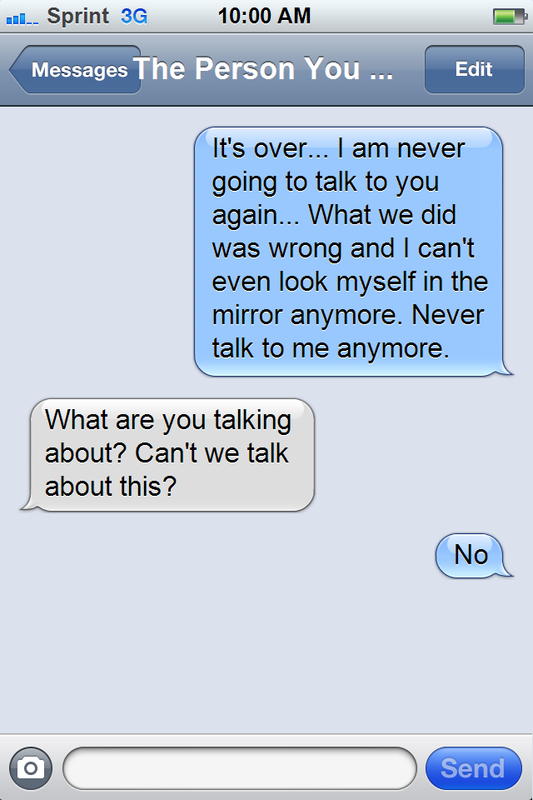 This is a text message that I just made up to show what the conversation looked like when you told the person who you had the affair with that it was over. Which is my way of basically saying that you are cutting off all contact with this person from here on out. 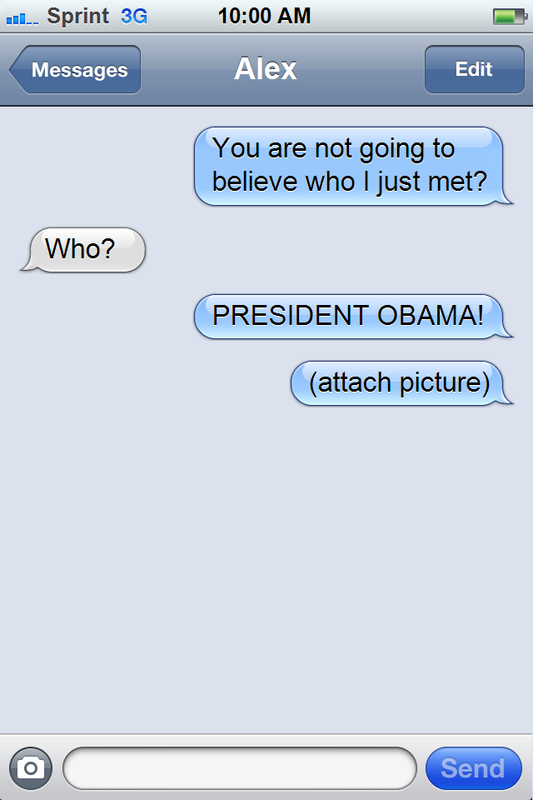 Imagine if you were to forward this little text message to your ex girlfriend to prove to her that the affair is over? We live in a world where we often can’t believe what we can’t see. I mean, when it comes to cheating the idea of faith is very hard to comprehend because you had faith that the person that you trusted wouldn’t cheat but they did. It shakes you up so sometimes you have to go out of your way to prove that things are over permanently. This is what I learned from Esther Perel so I can’t take credit for it completely. The person who had the affair, YOU (or your ex girlfriend if she were the one who had the affair) has to express true guilt and remorse for the affair. And here is where we run into a problem. Oftentimes the person who had the affair does feel awfully guilty for hurting their partner but they don’t feel all that bad about actually having the affair? Because deep down it felt good. You have heard my theory on people with good feelings and bad feelings, right? Basically I believe that people are always drawn to things that make them feel good. This is going to sound weird but think of a drug addict who is looking for his or her next fix. This is how humans often are with feelings. We look for the good ones and run from the bad ones. Now, as much as I hate to say this next part it is unfortunately true. People have affairs because they are desiring something more, something that their current partner isn’t giving them. So, when they do find the thing they are missing it feels good to them and they often don’t want to give it up. So, when they ultimately do get caught and are trying to make up for hurting their partner by expressing guilt and remorse being truthful about it is difficult for them. So, if you find yourself in this predicament you have two choices. Choice One: You can lie and make it seem like you feel bad about the affair and you didn’t feel good about it. Choice Two: Admit the truth in a soft way. Now, you may have noticed that I bolded choice two. That’s because that is what I think you should do. You should tell her the truth of what she was not giving you so she can get insight into why you did what you did. Do you know how many people have visited this site since it’s inception? That means that millions of men have come to this website in search of a strategy to help them win back their exes. It also means that I have seen A LOT. Would you like to know what I have never seen? I have never seen a man win back his ex girlfriend without talking to her in some way, shape or form. And that’s what makes being blocked by an ex girlfriend so deadly. The strategy that I teach to men hinges on the fact that you can contact your ex girlfriend through things like text messages and phone calls. So, if those things are taken away due to being blocked by an ex girlfriend what do you do? Well, then you have to find a way to get unblocked. If you are blocked by your ex then that makes everything that I talk about in The Texting Bible kind of useless (until you get unblocked.) Luckily, I have put together many guides on how to get unblocked on this site and in my PRO System. But I told you that I am going to give you the quick crash course version of how to get out of these impossible situations so here I go! It’s normal to freak out when you learn that you have been blocked. But before you come running to me screaming that the world is over. Lets size up exactly how blocked you are. Partial Block- Where your ex girlfriend has you blocked on most of the mediums of communication but not all of them. 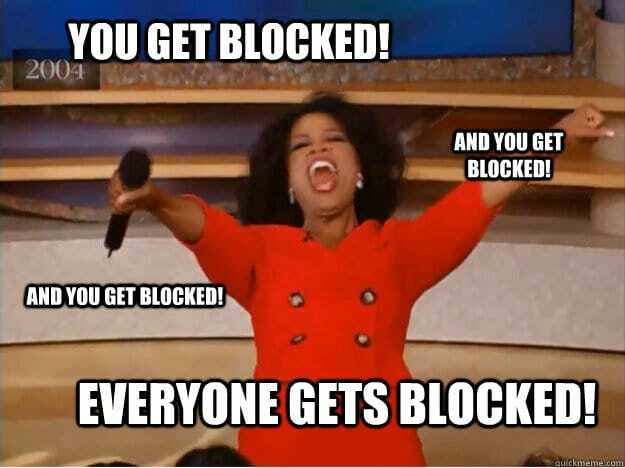 Full Out Block- Where your ex girlfriend has you blocked in every way. Facebook, email, phone, skype, snapchat… the list goes on and on. Of course, if you are experiencing a full out block then I will consider your situation as impossible and you can move on to tips two and three. It seems like this is the opposite of what you should do, right? But as I taught you in my last article, getting an ex girlfriend back sometimes requires you to take a trip to the “Orwellian World” where you basically do the opposite of what you think to do. Of course, if you really think about tip #2 it does make sense. Think about it, you are in this situation because you probably talked too much. You probably annoyed your ex girlfriend to the point where she wanted to block you from everything. If that was the case then why on earth would you want to talk to her more? I like to use this quote a lot so if you have already heard it bear with me here. Thus, if you expect to get unblocked by talking to your ex girlfriend at this point in time when it is probably the reason you got blocked in the first place why on earth would you think that it would work? Instead, I recommend doing the no contact rule to kind of switch things up. Oh, and I haven’t even told you the best part about the no contact rule. I have found that most men who have been blocked will get unblocked over time. So, the no contact rule kind of acts as the sanity keeper where you at least have an end in sight. 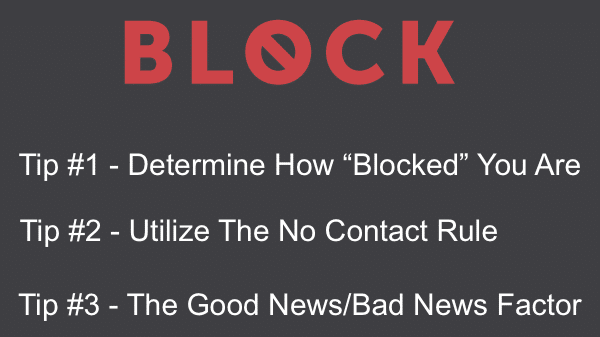 Simple, if you are “full out blocked” by an ex girlfriend you are forced into a no contact rule by her but the difference is there may be no end to the no contact rule. This scares a lot of men. So, the no contact rule gives the silence between you and her some structure. It also kills your need to talk to her and fix everything right away. Just know that most women do end up unblocking their ex boyfriends after some time. Of course, in the case that they don’t they may require a bit of a shock to the system. I sleep all during the day and am awake only at night. My wife and I just had our firstborn child. Well, don’t let her fool you. This baby can cry with the best of them and will cry if you even put her down. 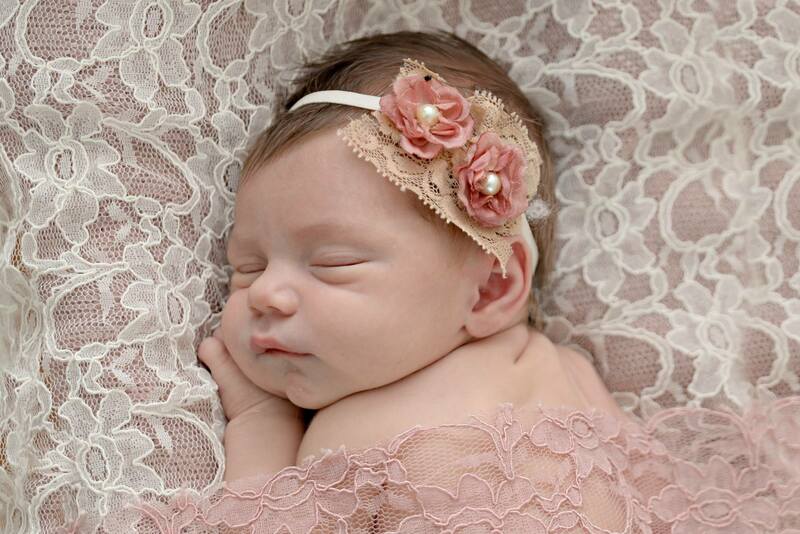 This means that in order for her to sleep someone has to be holding her… until she is in a super deep sleep state and then (and only then) can you put her down to sleep. Anyways, I have been taking the night shift. In other words, I stay up to 6 AM every single day until my wife wakes up to take over. Last night for example I didn’t end up turning in until 8 AM and I just woke up about an hour ago at 3:30 PM. 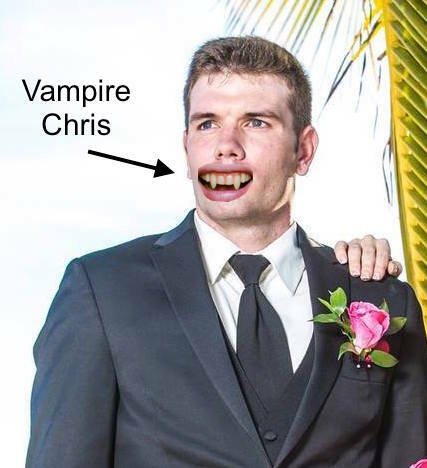 Hence, I am a vampire. Well, one of the perks of being a vampire and having to hold a baby all night is that I can catch up on all the shows I have missed out on. 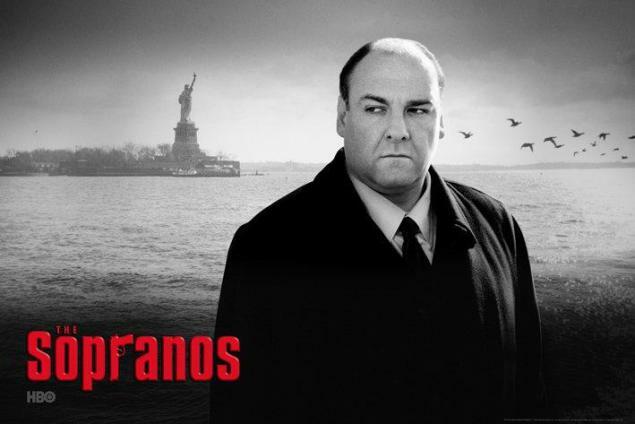 Anyways, there was an episode in the first season called “Isabella” where Tony Soprano (the main character) is all depressed and I mean really depressed and it isn’t until two hit men came after him (and failed) that he got out of the depression. It created this shock to his system. What if I told you that your ex girlfriend may need a shock like that to her system to unblock you? You are going to deliver some very shocking good news or bad news (you choose) to your ex girlfriend. The key here is that it has to be shocking. isn’t the kind of good news I am talking about. There is no shock factor. Now that would qualify as shocking news. But what about bad news? Now, I can sense some confusion from you. Namely the fact that your ex girlfriend has you blocked and you have no way of delivering this news to her. That’s where the power of gossip comes into play. 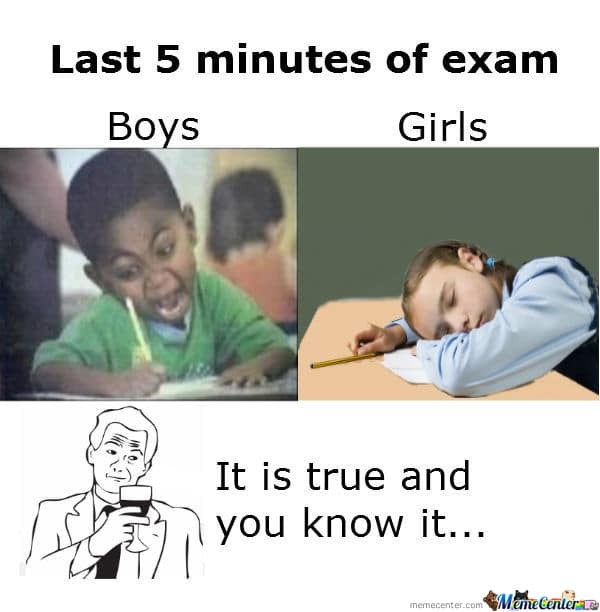 You see, women like to talk. This is a universally known fact. It’s a fact that you are going to bank on as instead of delivering the “shocking news” to your ex girlfriend who you have no way of contacting you are going to deliver the shocking news to her best friend. And what do you think that best friend is going to do with the shocking news? She is going to run right to your ex girlfriend and give it to her. Is it a little manipulative on my part? I am not sure whether this is the ultimate nightmare scenario or if this is the ultimate “impossible” scenario. Well, my vote goes with the ultimate nightmare scenario. Not quite sure if I need to explain this but I will for the sake of explaining it. You and your girlfriend broke up and then a few weeks later she finds a new guy who she starts dating. Wow, that didn’t take very long. Alright, lets just cut right to the chase. How the heck do you win an ex girlfriend back in this specific situation? Now, I don’t expect you to know what all three of these things are since that’s what I am here for. 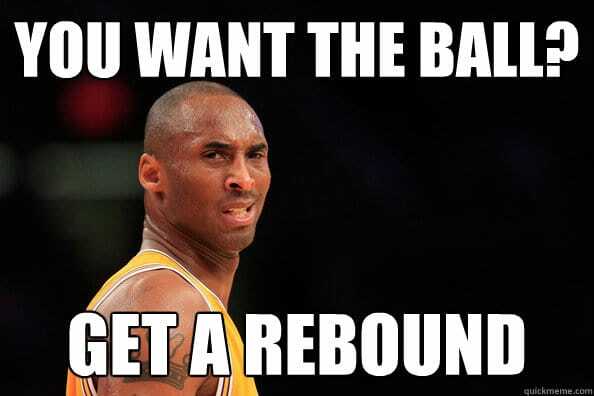 Lets start with the rebound percentage. You may be wondering why I would even recommend this. I know your mind is made up. If you are that committed to your ex girlfriend then you are going to do everything in your power to win her back and nothing I say will change that fact. However, even I won’t deny that if your ex girlfriend has a new boyfriend it may be a waste of your time to try to get her back. In fact, in most cases I would say it’s extremely hard to get her back. Not impossible but hard. However, I have been doing this for several years and I am about to let you in on a secret. If your ex girlfriend has a boyfriend who is a “rebound” then it will really increase your chances of success. Thus, it’s important for you to understand what a rebound relationship looks like so you can identify whether or not your girlfriend is in one. 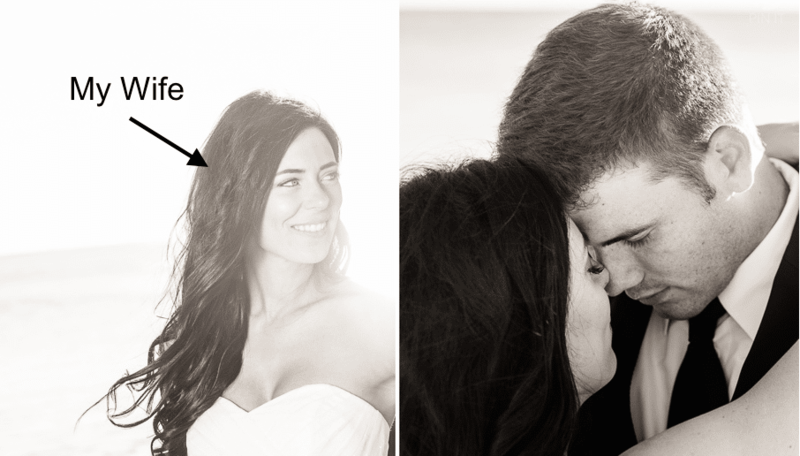 There are two things that I want you to decipher when looking for a rebound relationship. Generally speaking the longer you dated your ex girlfriend the better. 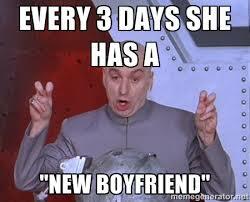 Well, lets pretend that you only dated your girlfriend for a month. Unless you had some sort of super relationship your ex girlfriend isn’t going to have attached a ton of emotional feelings to you. Of course, what if you had been dating for three years. A couple can go through a lot together in three years and as a result no matter how you are going to slice it your ex girlfriend will attach a lot of emotional feelings to your relationship. So, she probably isn’t going to be as serious with the next guy. Ok, ok, I am getting off topic here. A rebound relationship by definition isn’t supposed to last very long. It’s supposed to be a short fling that is discarded after a short amount of time. Now, what is a short amount of time? Well, that differs from woman to woman. Though I would say as a general guideline a rebound relationship shouldn’t last for more than three months. Anything longer and you are getting into more and more trouble. I have talked about the grass is greener syndrome a lot on this website. Namely, here, here and here. But what I am about to talk about now I don’t think I have ever mentioned before. 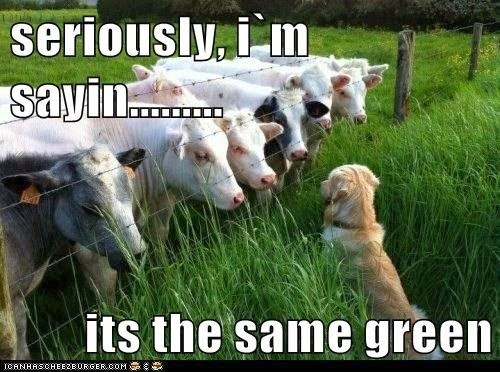 It’s something I like to call the grass is greener syndrome strategy. But before I can explain it to you I need you to first understand what the GIGS (grass is greener syndrome) is. 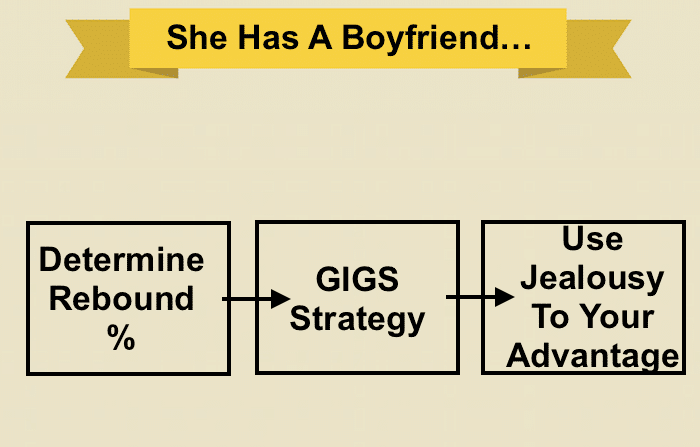 GIGS- Where an ex girlfriend leaves you because she felt she could do better. Lets assume that your ex girlfriend left you because she felt she could do better. If that’s the case then one of two things will happen. This is especially relevant to your situation right now because your ex girlfriend is with someone new and she is forming her ultimate assumption on whether or not the guy she is with is better or not than you. But what if I told you that you could do things that could simultaneously make her remember the best times that she had with you and have her current boyfriend exhibit behavior that is unattractive. Would that be something you would be interested in doing? Well, that is the grass is greener syndrome strategy in a nutshell. Now, figuring out how to implement front one is easy enough. For every man in a relationship what is the ultimate nightmare scenario? It’s being cheated on, right? This fear takes the best of us and turns us all inside out. I mean, why else would a man pick up their girlfriends phone to look through in secret? They aren’t checking their girlfriends latest status updates on Facebook. Nope, they are going straight to the messages to see if she has been messaging any guys. To check and see if she has been faithful. In my mind it all starts with fear. The fear of being cheated on. And we are going to use this fear to our advantage to help sabotage your ex girlfriends new relationship with a guy. That doesn’t sound very saintly of me does it? Ok, let met reword that a bit. 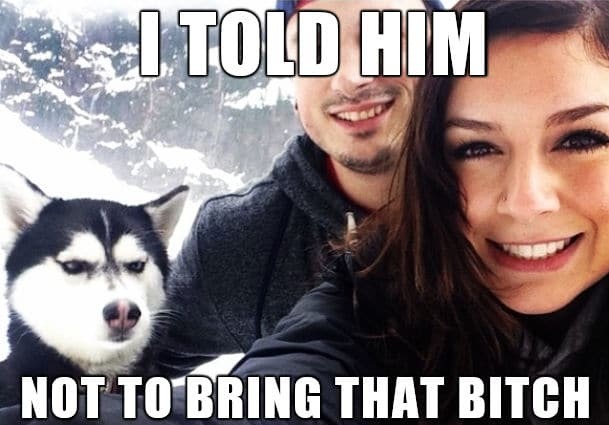 We aren’t actually going to sabotage their relationship. We are going to help your ex girlfriends new boyfriend sabotage it himself by utilizing jealousy. And this is a real story about me that doesn’t paint me in a good light at all but it needs to be told for you to fully understand how to use jealousy in your favor. My wife and I officially started dating on March 18th of 2014. We had been “talking” for about three months prior to that so for both of us it kind of felt like we had been dating for three months. When you look at my wife what is the first thing that pops into your mind EXCLUDING DIRTY THOUGHTS. Remember, this is my wife we are talking about here. But there is a major problem with dating a super attractive girl. It’s the fact that I am not the only one with eyes that can tell that she is attractive. Other men tend to hit on her. She told me some stories that made my complexion turn from white to red really fast. Anyways, when you add in the fact that we were in a long distance relationship… well, that’s just a recipe for disaster. I guess what I am trying to say is that I was always on high alert from men hitting on her. But then when I looked closer I saw that it wasn’t her that had done this on her profile. It was some random guy that I had never heard of before. But I wasn’t like these other guys.. I was the real deal. I wasn’t going to let this bother me for the rest of my life so I let it go. But I often found myself thinking about what he did and how it was kind of clever. I mean, he was hoping that I would get into a massive fight with her and break up with her over this. But the issue was that he was too forward with it. I mean, lets be honest. It’s way too forward to just post an old picture of you and someone else’s girlfriend out for the world to see as your profile picture. You need to be a bit more passive. We are our own worst enemy? Oftentimes in order to make another man jealous all you have to do is text his girlfriend on a consistent basis. His mind will take care of the rest by jumping to the worst conclusions.